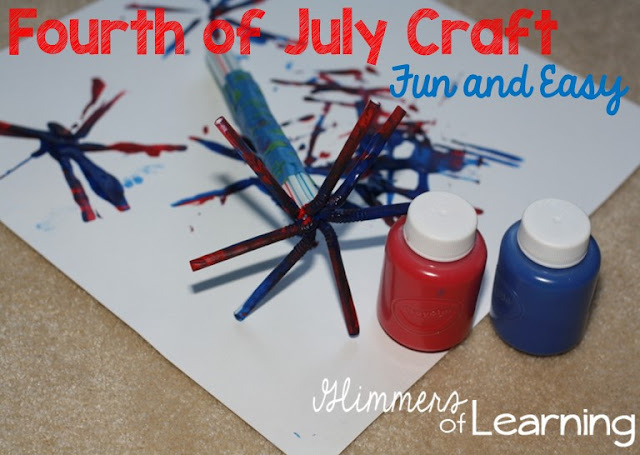 I was searching for a fun and easy Fourth of July craft that my daughter and I could do today and I came across Crafty Morning and her fun firework craft! I was so excited because I had all of the materials necessary! SCORE! I meant to take pictures of everything prior to starting but my daughter saw the paint and was ready to go! * Paint: I use Crayola Washable Paint: as it comes off with just water and NO scrubbing! Stretch all your straws and bend them at the top. 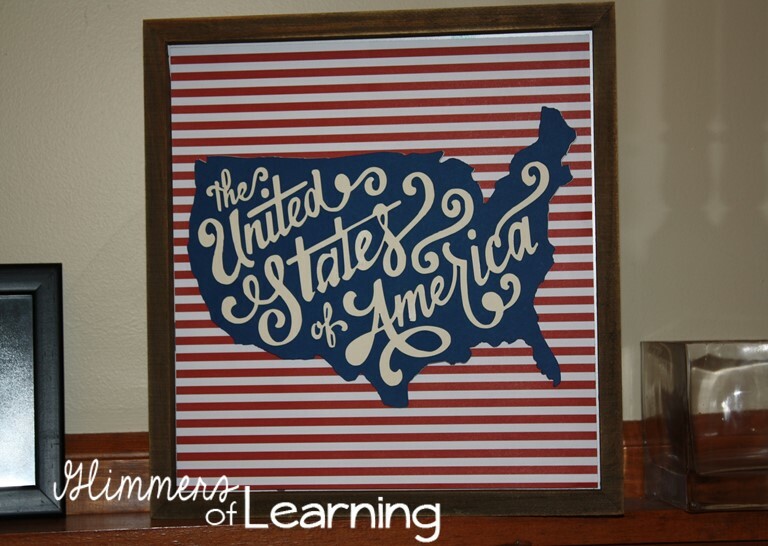 Once you have the desired shape use some sort of tape to help hold them together. You'll want at least a good size piece at the top and on the bottom. I used painters tape, as it was quickly accessible. Still out from my last project, oops sorry honey! 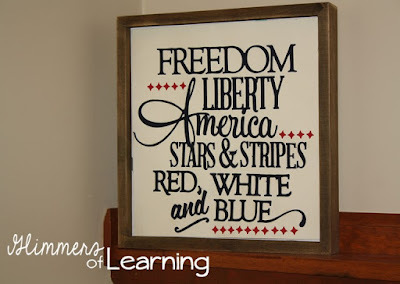 Squirt some blue and red paint on a plate or paper towel and let the kids have fun! To get the desired effect of the straws you may have to push down on the ends as they stick up depending on how hard your child pushes. But if they are independent like my child they probably won't like you engaging on their project so just let them go for it! 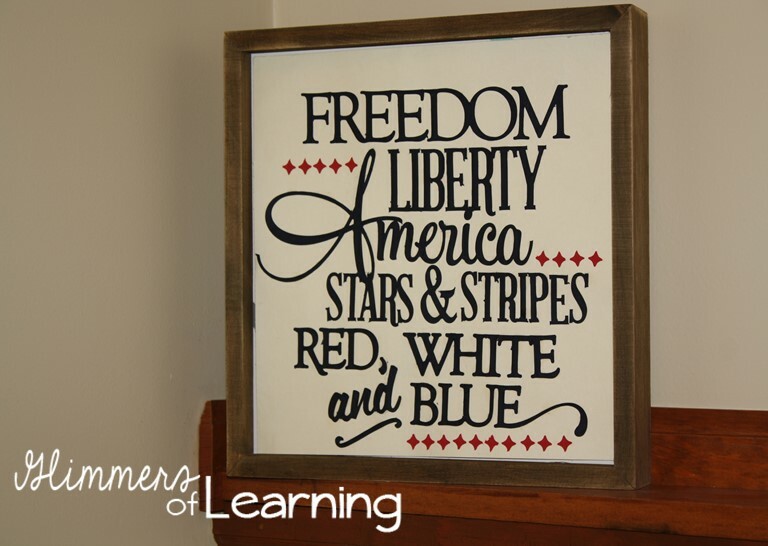 You can never mess up a kids’ craft project! 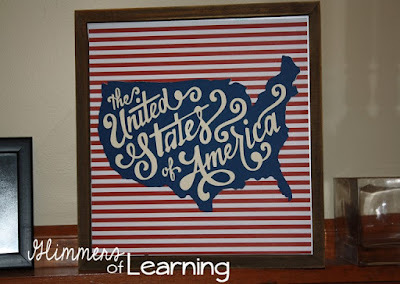 I also made these fun Fourth of July decorations with my Silhouette Cameo! If you haven't checked out the Silhouette Cameo's you need to! They are amazing!